Murray River Organics (ASX: MRG) is an Australian “producer, marketer, manufacturer and seller of organic, natural and better-for-you food products”. As the world’s largest vertically integrated organic dried vine fruit grower, the company sell products throughout 26 countries. 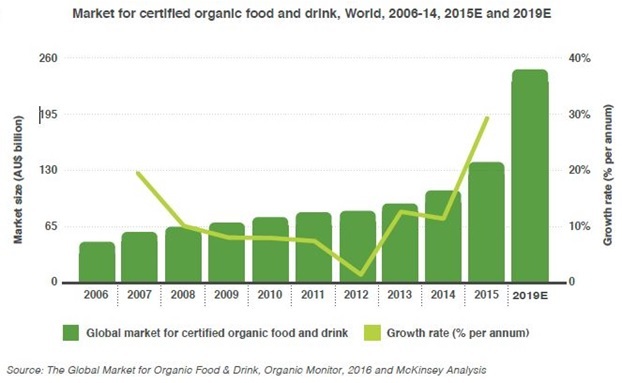 The global certified organic food and drink market has grown at a CAGR of 9.5%. 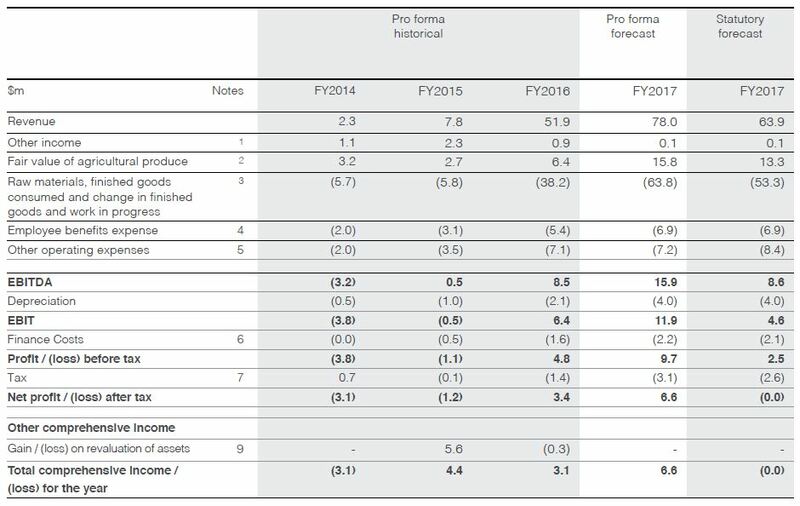 Valued at $104bn in 2014, projections suggest a market value of $250bn by the end of 2019 (Figure 1). Organic food sales through retail channels are most prolific within the US and Europe. Per capita consumption is particularly high throughout the latter (Figure 2). The industrial channel has observed high growth due to the increasing use of natural and organic ingredients within products. Global growth in the consumption of dried vine fruit is expected to increase from 1.18m tonnes in 2015-16, to 1.23m in 2016/17. Major producers and exporters are depicted in Figure 3. 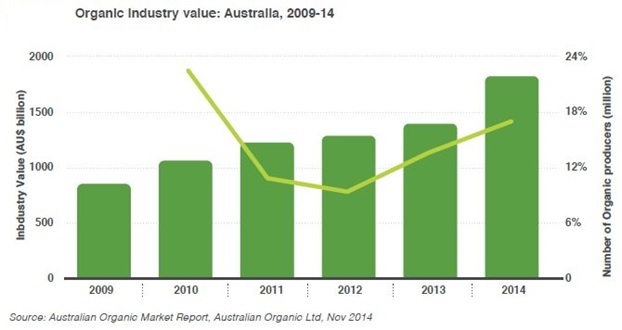 Australia’s certified organic industry has enjoyed a 15.4% CAGR from 2009-2014, valuing the industry at $1.72bn (Figure 4). The highly fragmented industry has seen participants engage in consolidation, adopt technology and vertically integrate their operations to position themselves for exports. The local certified organic market is expected to continue growing at 15% CAGR. Supermarkets remain the most prominent channel for local organic retail sales (Figure 5). Overall, organic exports were valued at $308m in 2014, with Asian countries leading the way due to Free Trade Agreements. 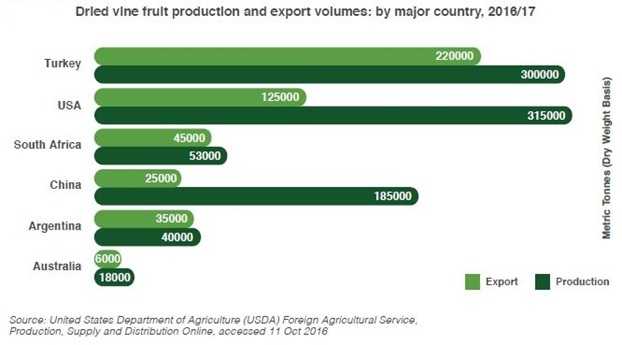 In particular, table grapes experienced strong export growth in 2016 (China and Hong Kong: 513%; Japan: 406%; Indonesia: 34%). 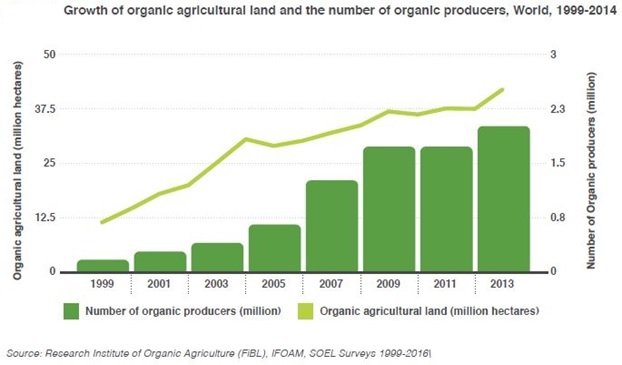 Figure 6 illustrates the exponential growth in global organic agricultural land and the number of organic producers. Australia has the largest area of organic agricultural land in the world (12 million hectares), more than any individual continent. Murray River Organics is raising $35m at $1.30 per share. 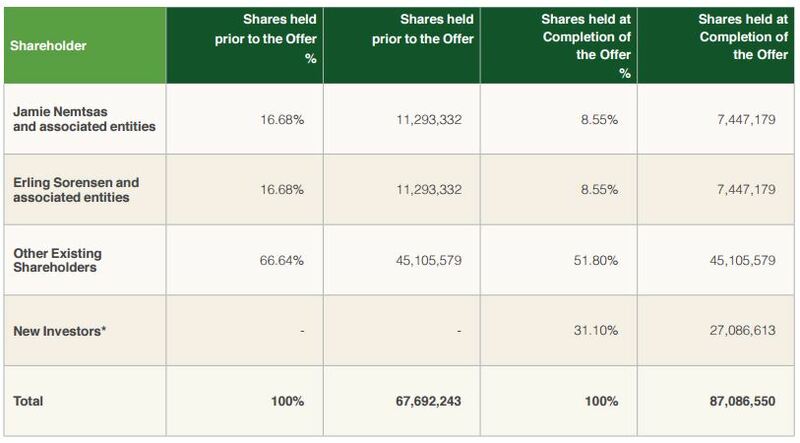 $25m is via 19.2m new shares being issued, and $10m is from the sale of 7.7m existing shares. Offer proceeds will be used to acquire additional land for production (Fifth Street Vineyard), integrate business acquisitions, appoint overseas sales representatives, and improve operational efficiencies. Products include: dried vine fruit, table grapes, nuts, seeds, dried berries, chia seeds, prunes, dried ginger, dried mango, quinoa, coconut products and rice. MRG contend that by integrating product lines across all processes, the company are afforded operational control, resource allocation efficiencies, supply chain expertise, and lower costs through economies of scale. Access to capital and a first mover advantage are cited as barriers to entry. 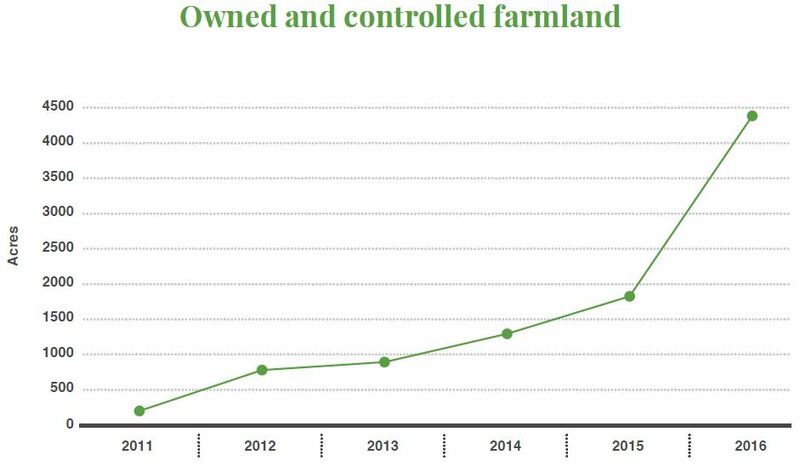 The company own or control 4,447 acres of certified organic farmland (Figure 8). A further 279 acres at Fifth Street Vineyard will be converted to organic farmland. While 3,172 acres have been allocated to various products, 327 acres remain available for planting. Murray River Organics describe the vineyards as possessing a “favourable maturity profile” and are also undertaking conversion and greenfield projects. In December 2015, MRG signed a 25 year lease for the Colignan vineyard. This will incur minimum lease costs of $52.9m, plus co-contributions towards capex. Water access is via two leases from third parties, set to expire June 30, 2020. One lease includes a five year renewal option. A small portion of water (<10%) is sourced via the spot market. Murray River Oganics function as a wholesaler to three channels – retail; industrial (bakeries and food manufacturers); and food service customers (specialty and natural food distributors). Many of the company’s existing sales are through uncontracted customer relationships. Of the contracts MRG do hold, some are limited to a season or a year. Third party suppliers provide the business with raw materials and products. Two retail food businesses were recently acquired – Australian Organic Holdings, and Food Source International. As a result, Murray River Organics expect to broaden retail sales, with dried fruit set to comprise 30% of all sales in FY17. 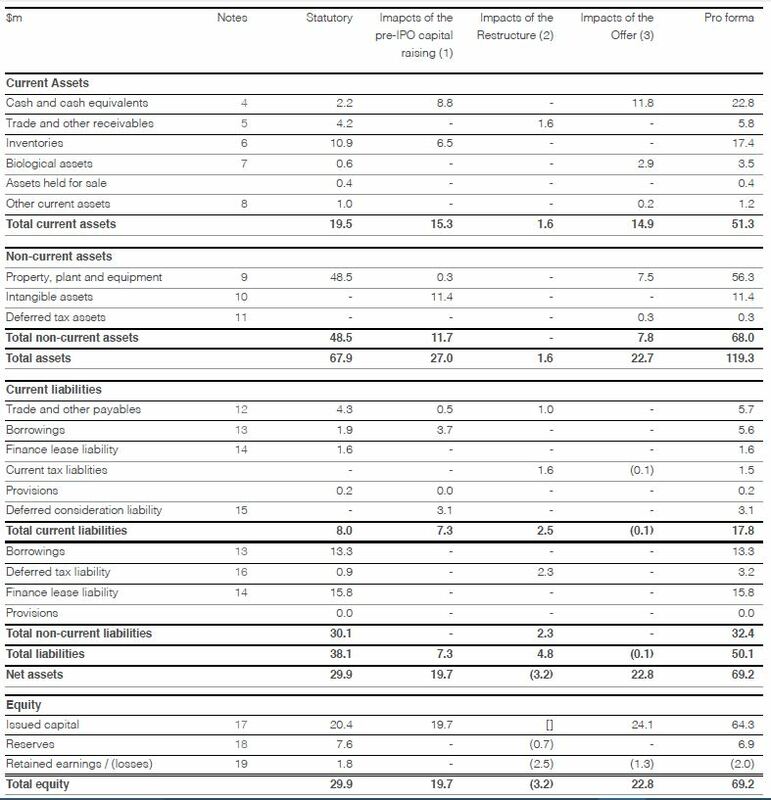 Australian sales are expected to make up 67% of total sales in FY17, versus 14% for Asia, 13% for Europe, and 6% for the USA. MRG is opening a 4,219sqm packaging and pick-pack facility in Dandenong (VIC) to facilitate global operations. The Fifth Street Vineyard also includes a 4,818sqm pack-out facility. With processing facilities in Mourquong (NSW) and Sunraysia, Murray River intend to consolidate sites to reduce costs and bin movements. Craig Farrow Chairman and Non-Executive Director 25 years’ experience within accounting and advisory industries. Chairman of Australian Independent Rural Retailers. Several Board level roles. $75,000 p.a. Lisa Hennessy Non-Executive Director 25 years’ experience across strategy, operations and acquisitions. Various Executive level roles. $40,000 p.a. Donald Brumley Non-Executive Director 29 years’ experience as a senior partner at EY, with particular emphasis on IPOs and advisory practices. $40,000 p.a. Erling Sorensen Managing Director Co-founder of MRG. Extensive experience at board level. International management experience across many functions. $250,000 p.a. Jamie Nemtsas Executive Director & COO Co-founder of MRG. Significant expertise within farming operations, as well as wealth and asset management. $250,000 p.a. 49.18% of total capital issued will be subject to escrow arrangements. The escrow period for management will be until 3 days after the release of the FY17 and FY18 reports. Other stakeholders are subject to a three month period from the company’s listing. Given the acquisitions and significant restructure of Murray River Organics operations, the following reports should be read in conjunction with the full set of notes and assumptions. 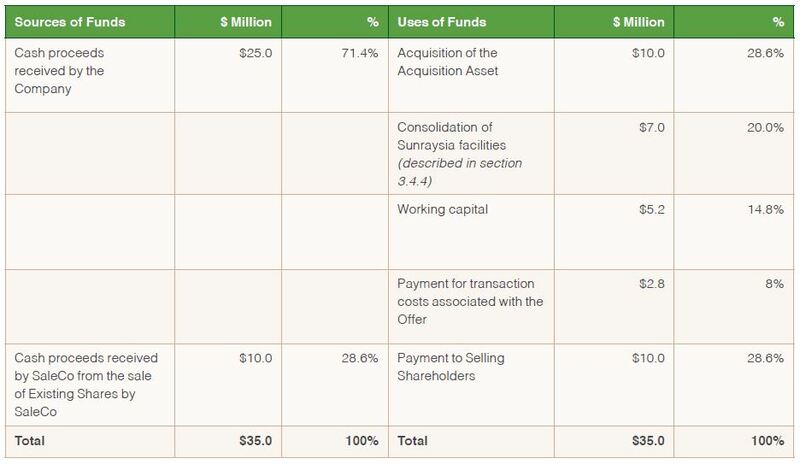 MRG has a series of banking facilities totalling $22.3m, each with financial covenants. These will facilitate the vineyard acquisition and provide working capital. 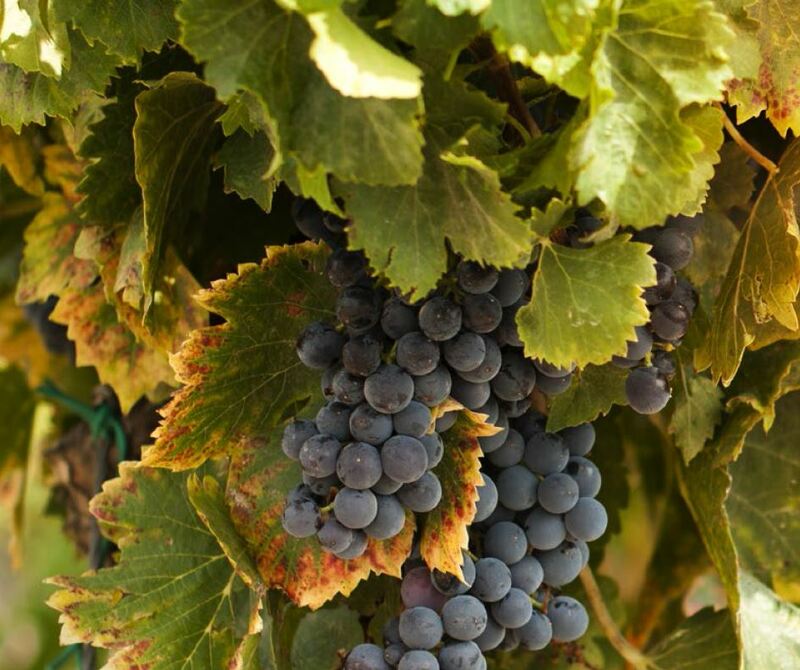 Separate agreements cover equipment and the lease of the Colignan vineyard. 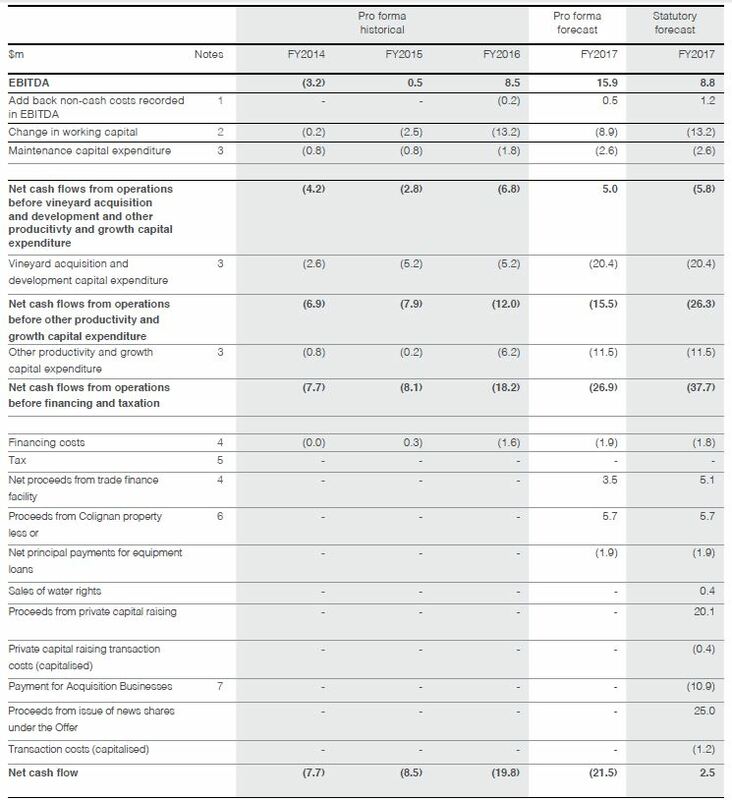 The company expect an increase in revenue and earnings to be driven by the integration of acquisitions, operational synergies, and overseas sales growth. The first dividend is potentially available in FY19, with a target dividend payout ratio of 30-50% annual NPAT.